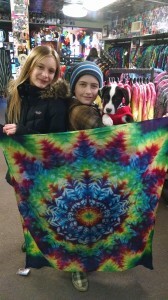 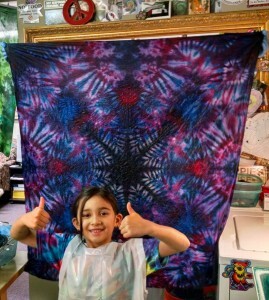 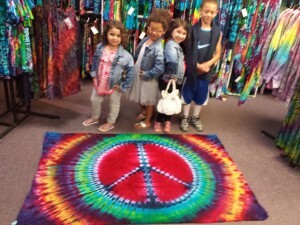 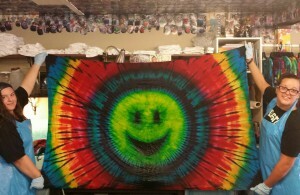 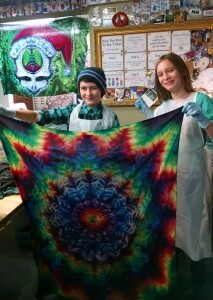 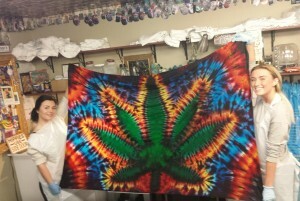 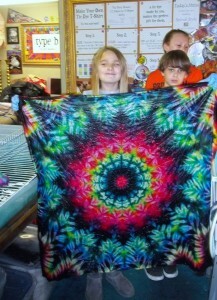 Make your own tie dye tapestry at our studio! 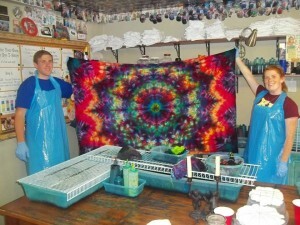 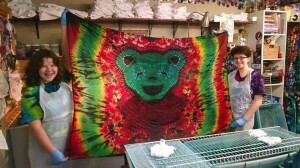 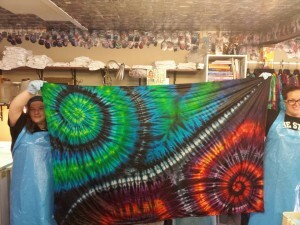 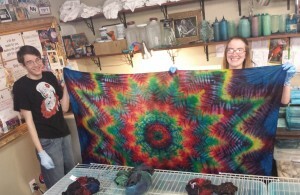 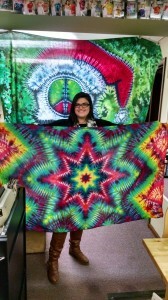 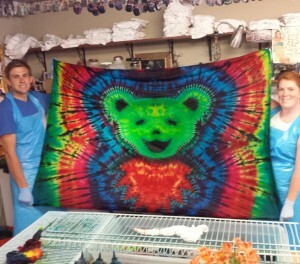 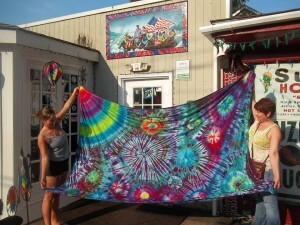 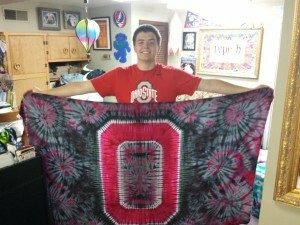 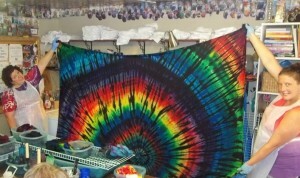 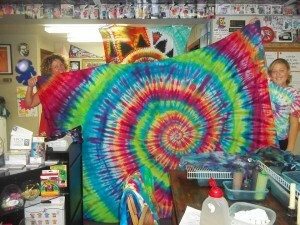 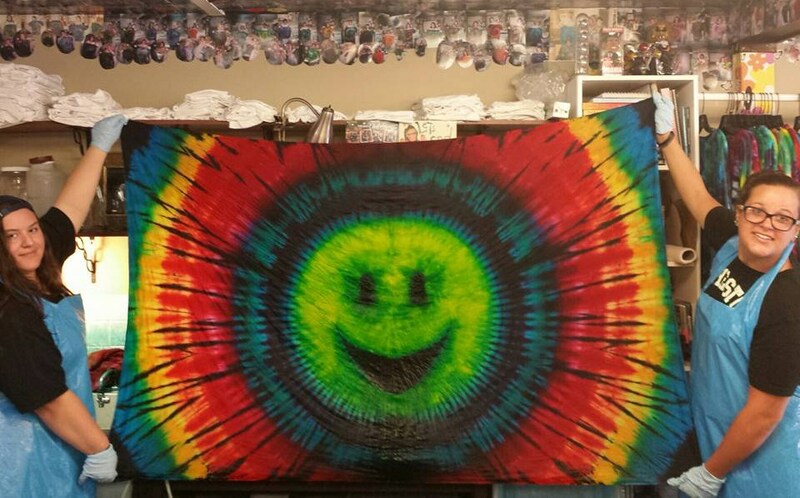 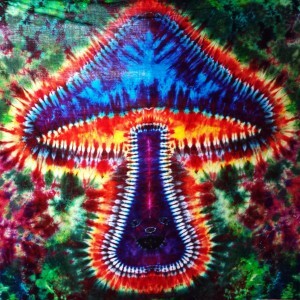 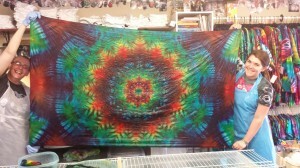 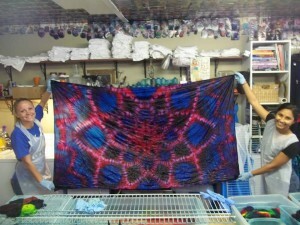 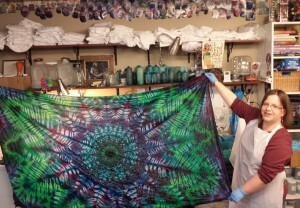 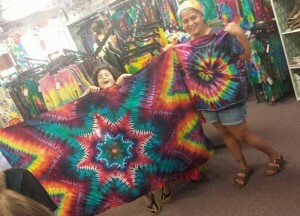 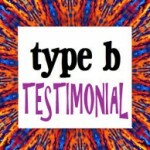 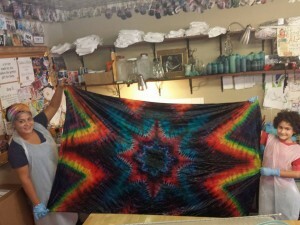 Make your own awesome psychedelic tie dye tapestry at type b studios. 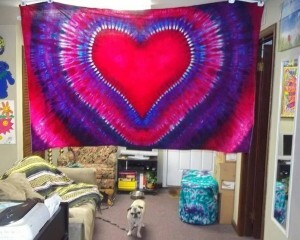 Our tapestry’s are typically 4’x6′ in size and are a great way to decorate any living space. 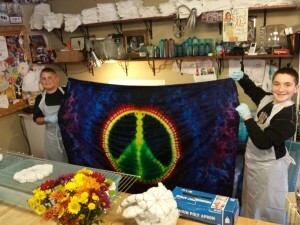 We have stars, mandala’s, spirals, guitars, lotus flowers, peace signs, hearts, happy faces, dancing bears and much more to be tie dyed by YOU!